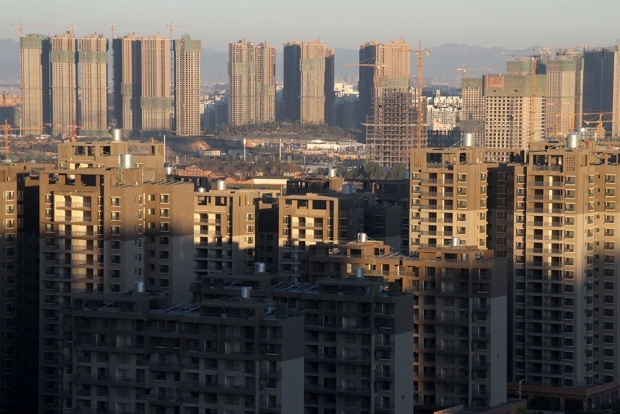 Much of the newly constructed housing in Chenggong, Yunnan province is still unoccupied as of 2012, making the city reportedly one of the largest ghost towns in Asia. By Caixin staff reporters Xue Jiancong and Jia Jiahua. This article was first published in Caixin. Warm, sunny Kunming brimmed with charm before Communist Party leader Qiu He brought an autocratic style of governance to town and spurred the urbanization campaign that preceded his downfall. Today, this historic city in southwestern China is a concrete jungle where, according to former Yunnan province Party Secretary Qin Guangrong, Qiu's bad leadership can be blamed for the loss of much of Kunming's cultural identity. During a Qiu-led urban redevelopment campaign that rapidly changed Kunming, Qin said, the city government's "management methods reflected weaknesses in rule of law." Now, the law is biting back. Qiu was recently detained by the Party's Central Commission for Discipline Inspection (CCDI) on graft charges stemming from his oversight of Kunming as Yunnan's deputy Party secretary. Authorities have also detained Qiu's personal secretary, Xie Xinsong, who most recently served as a deputy mayor of Kunming, and they're probing businessman Liu Weigao, a longtime Qiu associate. Another former deputy mayor of Kunming, Li Xi, has been targeted as well. Qiu, 58, was taken into custody March 15 at a Beijing hotel where he and other Yunnan officials were staying while attending an 11-day session of the National People's Congress (NPC). Without being specific, the CCDI said Qiu was being investigated for "serious violations of discipline and the law." Details of the detention, including Qiu's whereabouts, were not disclosed. Qiu's heavy-handedness in Kunming and during his tenure as a Party official in the eastern province of Jiangsu made him one of China's most controversial regional leaders. Ji Weidong, a former director of Shanghai Jiaotong University's KoGuan Law School, said Qiu got things done wherever he served, but he basically bulldozed his way to success. Ji summed up Qiu's approach this way: "Advocate extraordinary economic development and use authoritarianism with threats of heavy penalties to implement policies, all while ignoring or pressuring opponents." A Yunnan official who attended the NPC sessions as a provincial delegate said Qiu was taken away about three hours after the event closed. "Many were shocked," said the delegate. "Maybe only the provincial Party secretary and governor knew in advance" that Qiu would be detained. Nevertheless, the delegate said that since February the word in some official circles in Yunnan was that Qiu was in trouble. A key reason was that his name had been informally linked to talk of an inquiry by Party officials into the business activities of Liu, the former chairman of a Kunming-based conglomerate called Zhonghao Commercial Group. Liu, a Jiangsu native, and Zhonghao made money through property development, logistics, and tourism businesses, the delegate said. Several other sources with knowledge of Liu said he had closely cooperated with Qiu in Jiangsu and Yunnan. It's been alleged that Liu gave Qiu financial support, the sources said, while Qiu used his official position to provide government support for Liu's business projects. Two days before the CCDI announced its investigation into Qiu, Liu resigned as chairman of Zhonghao Commercial Group, the company said in a statement. Sources in Jiangsu and in neighboring Zhejiang province said that investigators started looking into Liu's dealings late last year. It's unclear whether he's been detained or charged. What's known is that he failed to appear for the recent NPC meeting even though he's a delegate representing Jiangsu. Liu made his first bundle in the textile business. In the early 1990s, he opened a sock manufacturing plant in the Zhejiang city of Yiwu. He expanded in 2003 by opening a sock factory in the Jiangsu city of Suqian, where he was welcomed by the mayor, Zhang Xinshi, Qiu's successor. The Suqian plant reported U.S.$100 million in sales in 2005, winning Liu respect as a star investor in Suqian and garnering special government support for his company. Suqian residents gave Liu the nickname "Half City" after he got behind several major property developments, including a 1.5 million square meter commercial center in which he invested 2.6 billion yuan. Liu rose while Qiu served as an official in Jiangsu from 1996 until he was transferred to Yunnan in 2008. Qiu's stint as a Jiangsu official started in 1996, when he was promoted from a post with the provincial agriculture bureau to deputy mayor of Suqian. He was later elevated again to provincial vice governor. Qiu set fast-track urban development goals and took a hard-fisted approach to reach those targets. Shortly after taking office in Suqian, for example, he pushed for a project to relocate 200,000 people from the countryside to new homes in urban apartment compounds within just three years. But during the Suqian urbanization and relocation campaign, according to a freelance journalist named Wu Fei, many rural families were forced out of their homes by demolition crews and were not properly compensated by the government. Meanwhile, Qiu won kudos for improving public security by sweeping more than 4,000 criminals off Suqian's streets and targeting hundreds of public officials accused of corruption. Some campaign opponents used thugs to threaten Qiu, a source said. But he pushed ahead anyway with stronger Party rules and by keeping officials on their toes via surprise office checks on government workers. To boost the local economy, Qiu told farmers to plant poplar trees and help out with road building. He also ordered public servants to contribute 10 percent of their monthly salaries to a road project fund for several months. And he ordered government agencies to recruit business investment. Qiu reformed the bureaucratic mechanisms used to appoint local officials by, for example, introducing information disclosure and public nomination arrangements. Some of his ideas were later adopted by the central government. These high-profile moves helped Qiu quickly climb the career ladder. In December 2000, he became Suqian's mayor. Eight months later, he was named the city's Party secretary. In January 2006, he was promoted to the post of Jiangsu vice governor. Two years later, he moved to Yunnan. And by 2011, he worked as the province's deputy party chief until his detention. In Suqian, Qiu's most controversial decisions involved campaigns to privatize public health care and education facilities. The initiative began in 2003, when the city government announced that it would sell all kindergartens and hospitals to private investors. Supporters called the move innovative, bold, and worthy of imitation in cities nationwide. But opponents said privatization might put a greater burden for these essential services on the public's shoulders. In a 2004 interview with the newspaper Southern Weekend, Qiu said he "cares more about results than the process." And when asked how he felt about public complaints over his aggressive campaign style, Qiu asked rhetorically: "When the West was at the development stage with a GDP that's like ours now, were there any human rights?" Qiu found a new region to practice his governing style after being named the Party secretary of Kunming in December 2007 and moving to Yunnan. Immediately upon arrival, Qiu said he would take aim at corrupt officials and work to improve the city's environment. To curb water pollution, Qiu assigned officials including himself to personally inspect rivers flowing into Kunming's Lake Dian. He also ordered each city district to plant trees and added environmental criteria to job performance assessments for officials. Altogether 1.7 million trees were planted in Kunming in 2008 at a cost of 2.7 billion yuan—an amount equal to what the city had spent for landscaping over the previous three decades. But not everyone was pleased. A business source in Kunming said local nursery owners complained that Qiu's government had stretched out its payments for the trees over a four-year period, forcing businesses to shoulder the government's financial burdens. Qiu also set ambitious targets aimed at improving Kunming's transportation system and renovating buildings in poor parts of the city. He ordered crews to build a ring road around the city in one year instead of the scheduled three years. He also ordered crews to build six lines for the city's subway system simultaneously. Qiu's policies dramatically altered the urban landscape and raised questions about opaque decision-making and shady business deals. Several sources said that Jiangsu construction and property firms followed Qiu to Kunming and profited from the city's projects. Liu moved to Kunming and launched Zhonghao, which drew praise from the Yunnan government as an up-and-coming investor. But Liu also had critics. A source who works in Kunming's financial sector and asked not to be named accused him of using money borrowed from shadow banks to start Zhonghao. Liu "just needed to show what he could do," the source said. "With Qiu He's support, he soon got the land license and bank loans to repay the shadow banks." Zhonghao was the lone and winning bidder for three plots of land with a total area of 22 million square meters auctioned by the Kunming government between September 2008 and March 2011. The company paid a combined 8.3 billion yuan for the plots, government records show. On some of this land, in 2009 Zhonghao built Zhonghao Luoshiwan International Trade City, Yunnan's largest consumer goods wholesale market. Sources close to the project said Liu pocketed at least 18.5 billion yuan by selling space to shop owners. Zhonghao also ran property management, manufacturing, hotel, and tourism businesses. But then something went wrong. A source close to Zhonghao said the company's capital chain came close to collapsing in mid-2014 when banks started demanding Zhonghao repay debts to qualify for new loans. "Even after Zhonghao tried hard to repay the debt," the source said, "the banks still refused to extend new loans, citing government policy." Since then, the crunch has gotten more serious. A Suqian official said that in February Zhonghao was the target of protests by construction workers who said they had not been paid. A Yunnan businessman said that Liu tried to get cash by selling a manufacturing facility. His company also plans to sell some Luoshiwan assets and other holdings, the source said. Another source said Zhonghao's property subsidiary owes 12 billion yuan to creditors including the Industrial and Commercial Bank of China and Minsheng Bank. On March 19, Zhonghao officials told reporters the company is financially sound and that debt levels are under control. That company announcement came four days after Qiu was taken into custody, and one day after authorities targeted Xie, 44. Xie served as Kunming's deputy mayor since June and worked as Qiu's personal secretary since 1998, according to a Suqian official who spoke on condition of anonymity. Other sources said the Party's investigation into Qiu is also likely linked to a probe targeting Li Xi, last served as Kunming's deputy mayor under Qiu before investigators nabbed him in October. Sources claimed that Li was behind illegal businesses linked to several landfills.